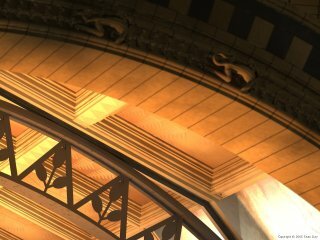 POVCOMP 2004: Viewing Page for "Natural History Museum"
This is a combined entry to povcomp and the November/December round of IRTC I added slightly more detail for the povcomp entry and would have liked to have rendered it at a higher resolution using isosurface objects but with so many light sources and focal blur it just wasn't going to finish on time. Had to stop it after about 15 percent was done and turn off the isosurface objects and add normal's to the plain boxes/cylinders etc... 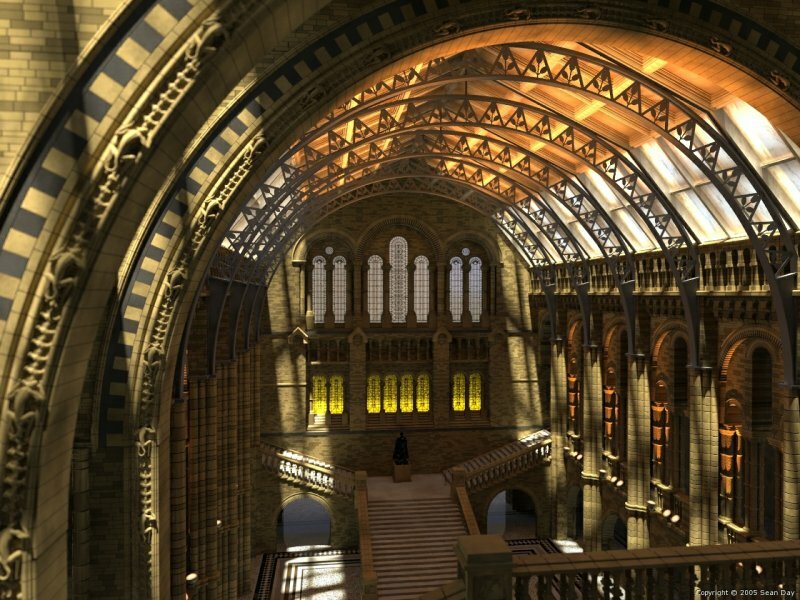 The image shows the great hall in the Natural History museum an amazing building with so much detail that I couldn't really do it credit. Also I would have liked to have shown a little bit of the dinosaur skeleton that they have there but ran out of time.. The spotlights use media for the glow effect. 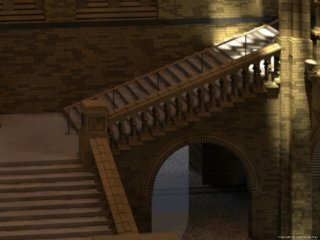 I would have liked to have chosen different areas for the detail sections but I had to choose ones that would finish rendering before the deadline..